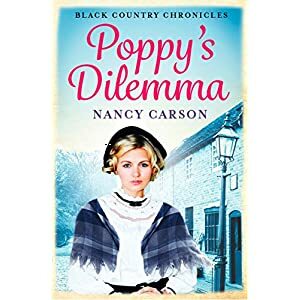 Poppy Silk is an endearing character who attempts to drag herself up out of the poverty of the railroad shanty town and to a better life through education. We follow Poppy as she follows her dreams. She finds a way to get educated and move away, but in the process falls in love with Robert Crawford, a young engineer who unfortunately is engaged to someone else. The male characters in this novel are somewhat of a let down. Robert is absent for much of the story and when he reappears towards the end he hasn't changed at all! He is still weak willed and a complete bore. I could only muster lukewarm feelings towards him and their relationship. The men in the shanty town are heaps more interesting but completely unsuitable and unworthy of Poppy. Not because they are poor but because they are all portrayed as nasty pieces of work. I enjoyed reading about Poppy and her friends but I wish there had been more to Robert. Interesting but not as good as a Catherine Cookson.